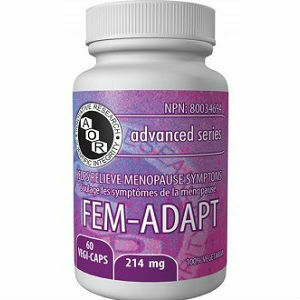 Fem Adapt is marketed as a natural formula, though in the exact words of the manufacturer, it ‘may support the reduction of symptoms associated with menopause’. Little documentation about the formula or blend was found during our research. Genistein– Genistein has been known to help in the treatment of Breast cancer. Soy Isoflavone- This has been shown to reduce some menopause symptoms such as hot flashes. Black Cohosh– Research has shown that taking Black Cohosh can reduce some symptoms of menopause. Lifenol hops- Lifenol Hops may reduce the symptoms of cramps and breast cancer. The recommended dosage for Fem Adapt is 2 capsules daily. Throughout all of our extensive research, we were unable to find any price listed for fem adapt. Despite the fact that most reputable companies provide a guarantee with their products, Fem Adapt has no such guarantee, leaving customers unsure of whether or not they are making a good purchase. There was little to no research put into the Fem Adapt formula, and it shows. Jackie Horowitz	reviewed Fem ADAPT	on April 29th	 and gave it a rating of 2.